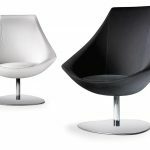 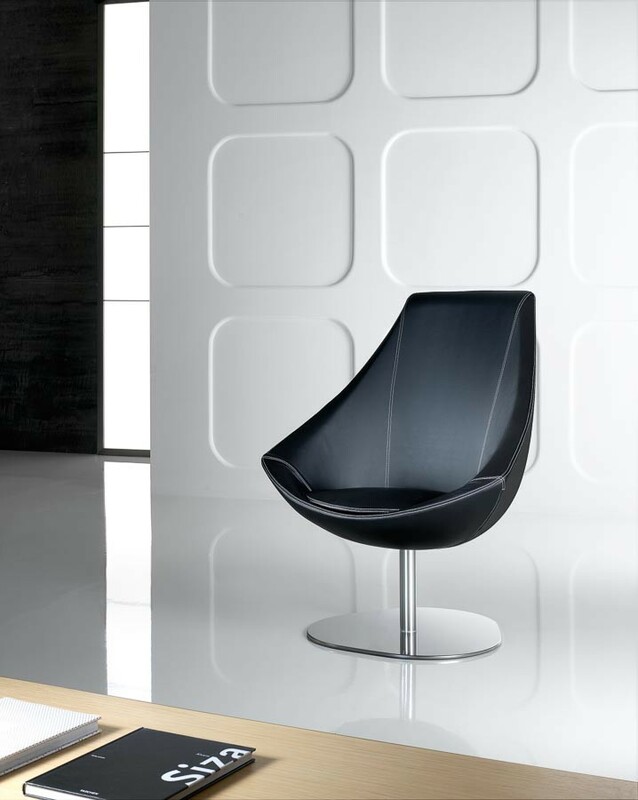 Italian Design and superb styling mean the Athena is an extremely comfortable high backed Lounge chair exuding an aura of luxurious privacy. 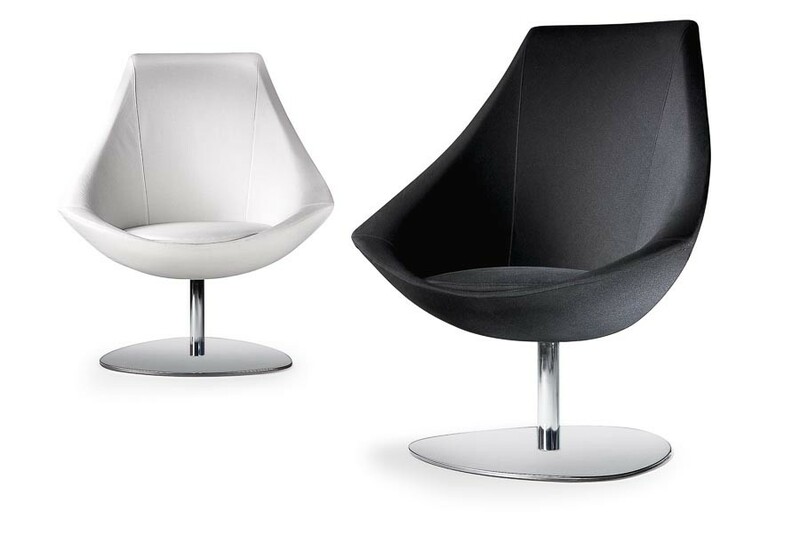 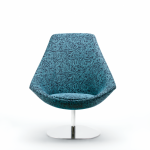 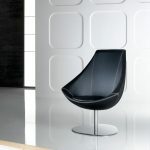 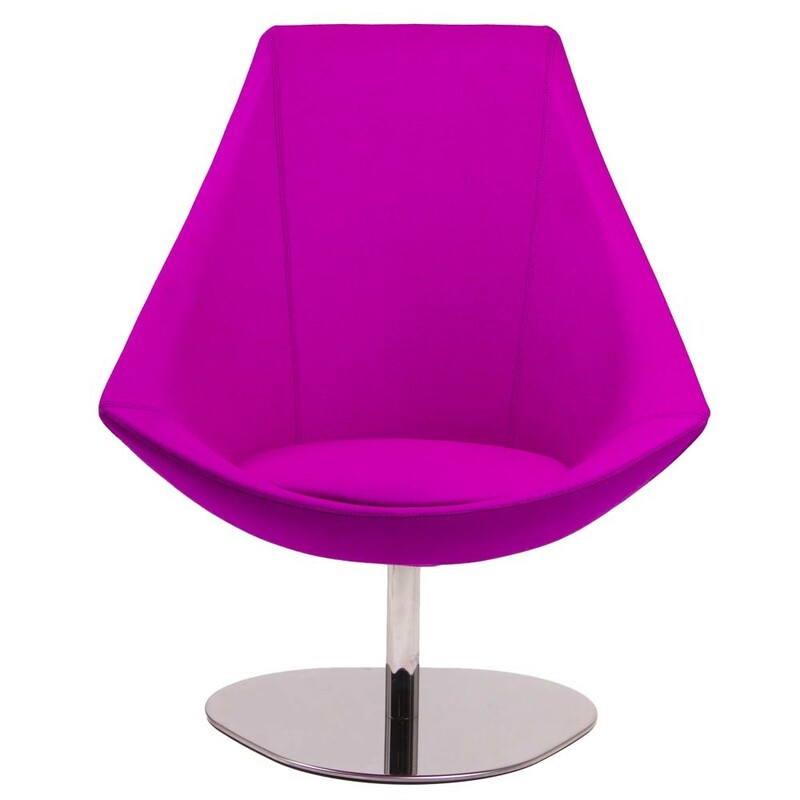 Sit Swivel and chat, or simply relax the day away. 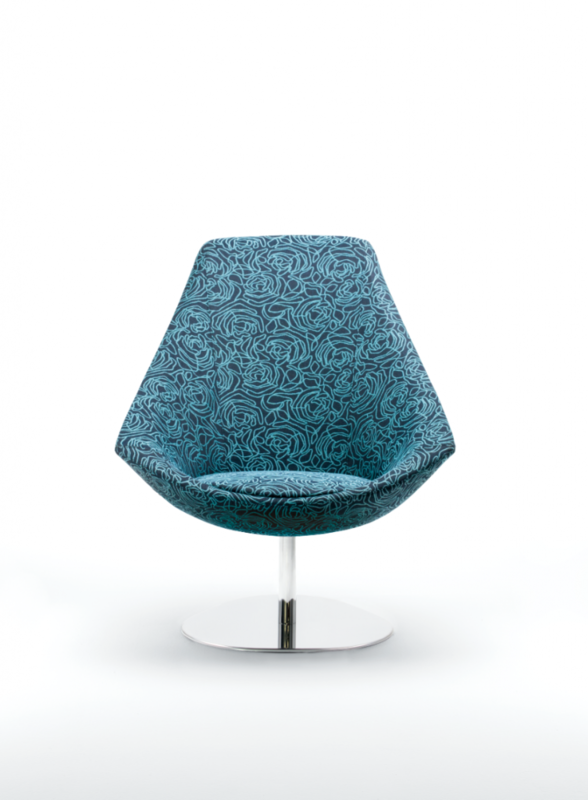 Seat can be individually upholstered with a second fabric option. 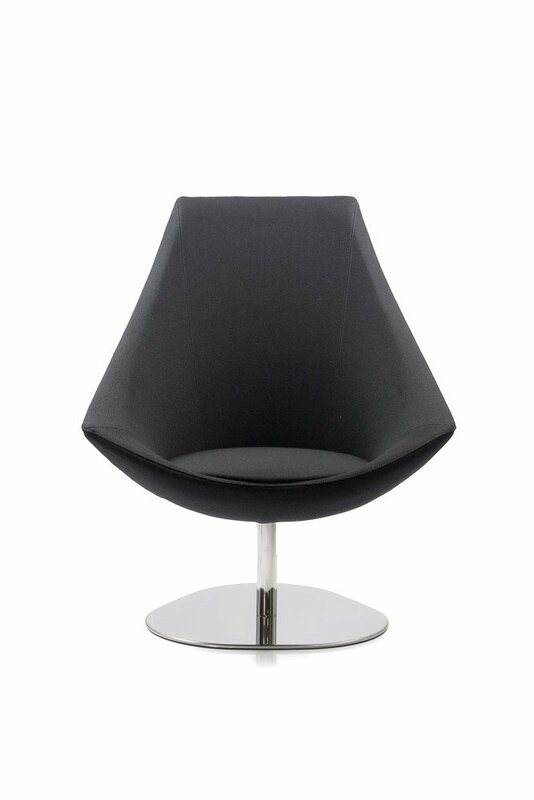 ATHENA D4 – Polished chrome Metal Swivelling base.